QuickSnap is a GIF sharing app for iOS. 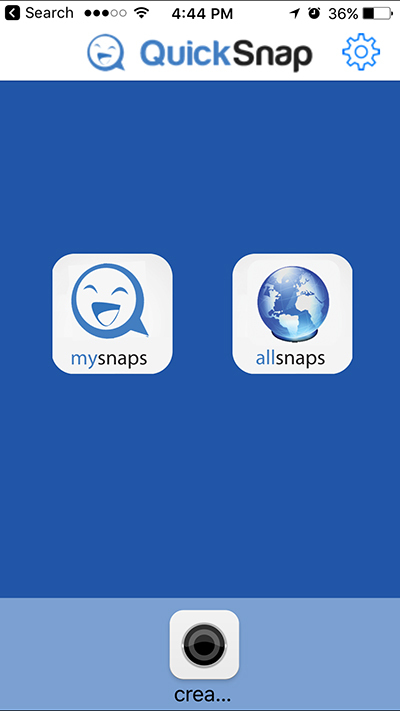 QuickSnap wanted to create a way for users to create and share their own gifs and send them out immediately. Instead of searching the internet for GIFS, they wanted users to be able to control and distribute the GIF content themselves. Plego Technologies is proud to announce the launch of a new Social Media Gif sharing app called QuickSnap. Working with Jet Studios, Plego created a mobile application that allows users to take short 1 to 5 second videos and convert them to animated gifs. These gifs then get stored in the user's photo library or can be sent to other users via iMessage or eMail from within the app. In the past few years, mobile users, especially younger users such Millennials have used animated gifs to express their feelings via text and imessaging. Plego just made it easier for them to create their own gifs so they can more accurately convey their message in real time. The app allows users to create custom gifs or pick a gif from a library of funny meme type gifs that are already on the app. Below are some of the screens inside the app.